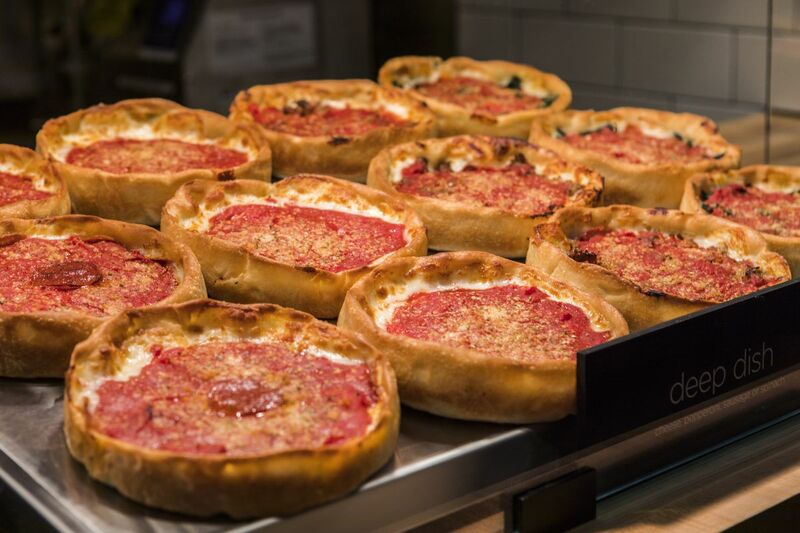 Original Article: "A Two-Floor Beatrix Market With a Bar Opens in The Loop"
Beatrix Market’s mini deep-dish pizzas. Lettuce Entertain You Enterprises hope Beatrix Market’s grab-and-go food will appeal to busy DePaul students and downtown workers alike. LEYE has opened another mini spin-off of its popular all-day restaurant brand, with this one near DePaul’s Loop campus. This new Beatrix Market at 23 E. Jackson Boulevard is different from other locations in the Loop and Fulton Market as it features mini deep-dish pizzas and a bar. While it’s not a sit-down restaurant like the original Beatrixes, perhaps mini isn’t the best adjective. This one is two floors and features a 50-seat lounge where customers can drink from a full bar. There’s also a coffee and pastry bar in addition to a pizza counter. Mini deep-dish pizzas come in cheese, sausage, pepperoni, or spinach. 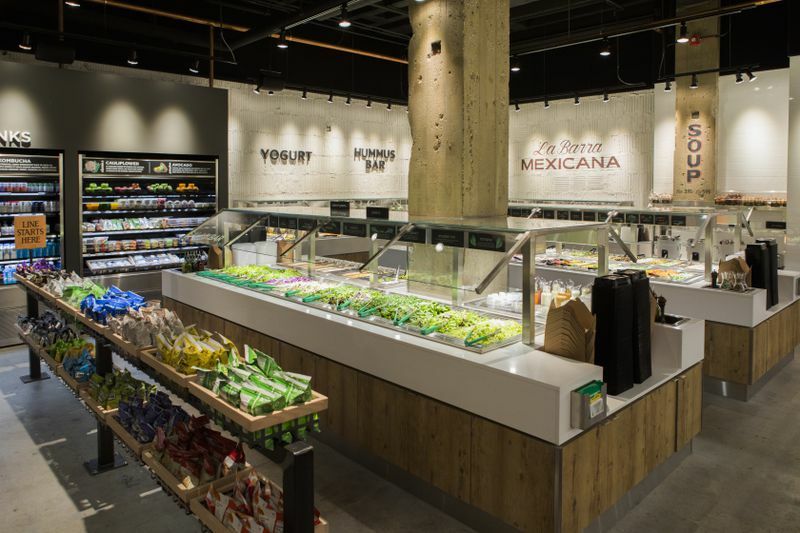 Other options include a salad bar, a self-serve Mexican station with rotating options including enchiladas. Soups, and a hummus bar are also part of the plans. There’s also a private room for meetings. Casual restaurants like Beatrix Market continue to grow in popularity, and Rich Melman and his children are aware of industry trends. This is the LEYE’s fourth Beatrix Market. The company also has locations as part of the Beatrixes in Fulton Market and Streeterville, and another in the Loop. It’s another solid downtown lunch option that allows customers flexibility to eat healthy or gluttonous. Whatever their choice, Beatrix Market is now open in the Loop. Beatrix Market, 23 W. Jackson Boulevard, (312) 583-0598, open 7 a.m. to 7 p.m. on Monday and Wednesday through Friday; open 7 a.m. to 4 p.m. on Tuesday; open 8 a.m. to 4 p.m. on Saturday.